There are plenty of beautiful driving roads in America. A great road can challenge your notions of what some consider to be a costly chore/necessity rather than a leisurely experience. However if you replace the dull grind of everyday commuting with the epic: turns, terrain and landscape, it elicits a thrill like no other. It’s not always about driving fast, it’s about driving well. 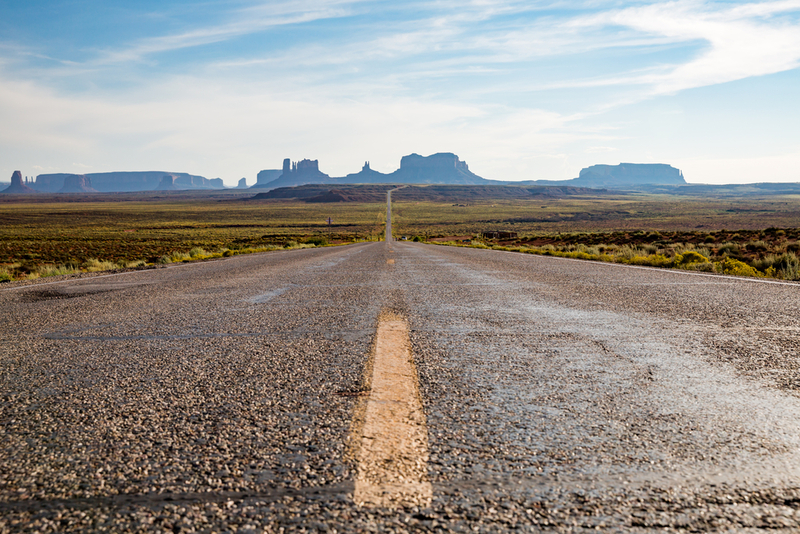 These are 10 almost mythic highways that can inspire us to hit the road with a smile. With this guide you won’t have to aimlessly drive to the middle of nowhere that you need to take a vacation to enjoy them (sleeping bags or seedy motels are unnecessary). Some of these are well known, others are so under the radar not even the locals know of them. So buckle your seatbelt and tune into your favorite soundtrack (whether it be silence or music), and enjoy the ride. The Denali Highway (or Alaska Route 8) spans 135 miles through undeveloped land that showcases the distinctly raw beauty of Alaska. If you don’t mind its gravel surfaces and scarce services, you’ll bear witness to views of Mount McKinley. It has been reported that hunters may have eliminated much of the big game that once roamed these plains however, there’s still no shortage of natural eye candy for nature & adventure-seeking motorists. Not to be confused with the “Skyline Drive” near Canon City, and there’s a one-lane road called the San Juan Skyway that runs along a similar scene. This particular scenic 236-mile stretch traverses some of the most breathtaking mountain passes in North America. Connecting Durango to Ridgway, the San Juan Skyway negotiates crusty mining towns and dizzying drops, offering its most impressive views along the “Million Dollar Highway,” which features spine-tingling hairpin turns and a daredevil’s delight–no guardrails. This is a must-drive. This is for the Midwesterners who aren’t keen on driving past farms and fields. 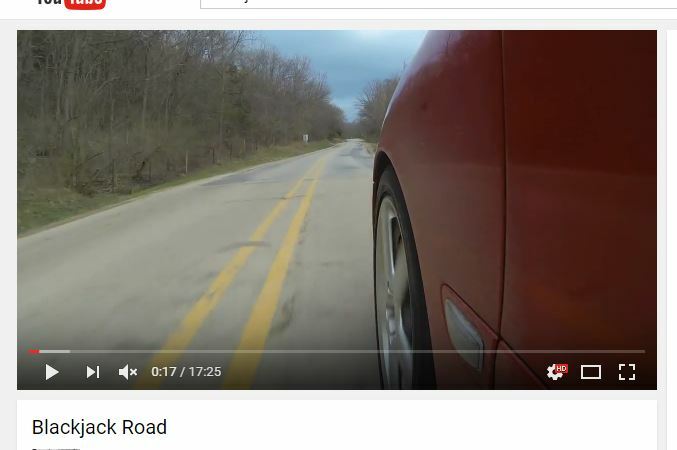 Running between Galena and Savanna, Illinois, Blackjack Road is really a collection of various highways with tons of twisty bits to keep you entertained. Meanwhile if you were to ask any Chicagoan or Illinois native they’ll all tell you the best roads near Chicago are actually in Wisconsin or Michigan. See, Wisconsin and Michigan aren’t that far, and if you take 144 and 28 up to Sheboygan, you would be rewarded with plenty of curves over rolling hills, and on the way back you’ve got lake Michigan right next to you the whole way down. Skyline Drive and Blue Ridge Parkway together combine to become a literal choose-your-own adventure story. If you decide to get on Skyline just under an hour west of town you could drive the fantastic roads until you’ve heard every song on in your collection. From there, you can chose one of many places to turn off and head back home, or if you are feeling up to it you can choose to keep going all the way to the end of Blue Ridge—at which point you will have been driving continuous curves for roughly six hours. There are National Forestry roads on the North Side of Mt. St. Helens. The view itself is simply amazing. The best part is that these are new roads that have been newly made recently. The older have some pavement and some stretches of very smooth gravel, perfect to stretch the drive train of your car. RF 99 and RF 25 are favorites of road trip drivers but surely none of them will do you wrong. It may be a cliché to drive though the California sunsets but that does not devalue the experience. Anywhere along the famed Pacific Coast Highway are iconic but if you want something a little more scenic, head north over to Big Sur. You will drive through big curves that allow you to test your steering & handling while the hills off an overlooking view of Santa Barbara as well as the cliffs and Pacific Ocean’s whitecaps. Meanwhile during the hour it takes to traverse Highway 192, you will notice distinct elevation changes, plenty of switchbacks, and very little time to get bored on straight stretches. If you want, you might even take a turn and get lost in one of the semi-rural neighborhoods. Believe it or not, fun can be had even at 15-25 mph. While Moab is the better-known spot for off-roading pilgrimages, you can take the lesser-known White Rim Trail. 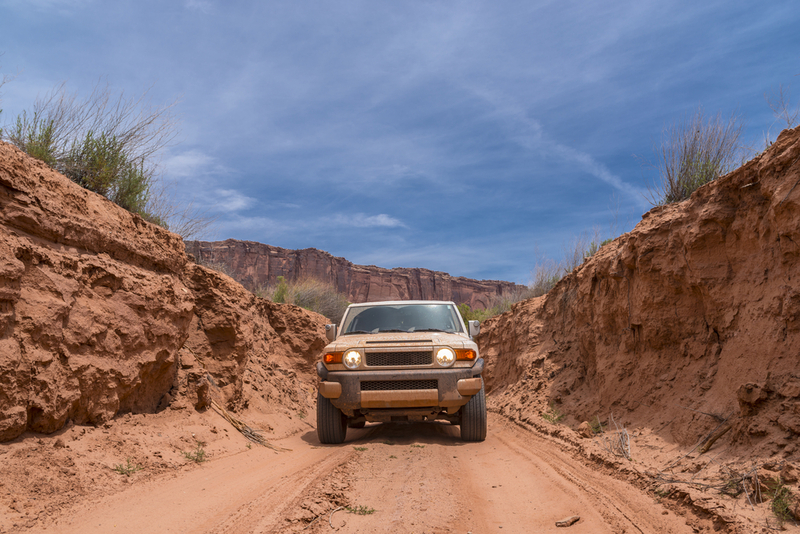 According to the National Park Service it has been rated moderately difficult for high-clearance four-wheel-drive vehicles so this is for drivers who like a challenge. It is a100-mile loop that slices through the Canyonlands National Park. White-knuckle your way through a broad array of views and terrains, from arches and canyons to basins and stunning plateaus. Be sure to take plenty of water, as signs of civilization are few and far between. Think Texas is flat? Guess again. The “Twisted Sisters” or “Three Sisters” loop is notorious for making minced meat of inattentive drivers with its decreasing radius and off-camber turns. When heading southwest of Austin, the Twisted Sisters have pretty much everything you’d want in a great road: over 100 miles of twists and turns, river-adjacent views, and plenty of cliffs. They’re quite possibly the best driving roads in Texas. If you’ve ever made the ski season trip from New York City to Vermont via the Adirondack Northway (U.S.-87), you’ve probably taken this route. The trip is about 50 miles. For the most part, it’s a two-lane adventure, comprised of rolling hills, long sweeping turns, and tight s-curves that snake through some of the state’s most beautiful countryside. The off-camber, yet impeccably maintained, asphalt allows for lots of ups and downs – more than a bouncy castle. Be alert, however to tractors and cows emerging from the farms that surround the roadway, often without warning, and small-town cops are always on the alert for fast-moving city folk coming up to congest their quaint little northeastern towns. So the next time you feel like getting out of the house, or making a road trip, why not try simply driving on an open road? It’s one of the many pleasures that come with having a car after all. And if you’re looking for new sites to see or different roads to travel, be sure to checkout more articles from the Shoptalk Travel section: (Name of new category/page link). Are we missing anything? Let us know in comments.